My friend Edward introduced me to Shadow of the Colossus, and I loved it. Scaling colossi was exhilarating, Agro was a loyal campaign, and the minimalist story raised more questions as the game progressed. By the end, the arc reaches a conclusion while at the same time the game allows the player to draw his or her own conclusions. Why has Wander traveled to the Forbidden Land? Yes, to save Mono, but who is she to him? Is Wander good? Is Wander evil? Perhaps the same questions could apply to Dormin or even Lord Emon. What’s surprisingly fascinating is all that exists to explore that isn’t put directly in front of you. There’s so much beautiful world to see in Shadow of the Colossus. There’s realizing all the poetic touches, such as the physical change of Wander, the final fate of Agro, and the relationship between Dormin, the idols, the colossi, and Wander. The game never tells you about fruit or lizard tails. The only thing driving Wander to the top of the temple is the player’s own curiosity. 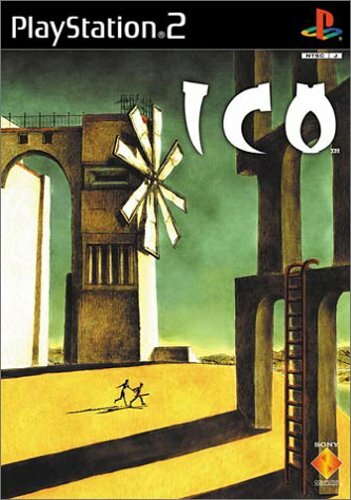 Like the majority of fans, I played Shadow of the Colossus first, but I soon followed it by playing Team Ico’s first game, Ico. While the gameplay is vastly different, its tone and themes are quite similar. Ico might have a companion in Yorda, but it’s still an isolating experience considering he can’t communicate with her. They might not share a language, but there’s still a small amount of communication. The game can really instill a sense of panic in me when I hear Yorda cry out and I’m not near her. Like Shadow of the Colossus, Ico has a fully whole and satisfying story arc while still leaving many things open to interpretation. Who is the Queen? What of her subjects? Was it just her and Yorda? Why was Ico brought to the castle? Miyuki Miyabe wrote a fantastic novelization of the game called, in English, Ico: Castle in the Mist. I was definitely surprised when I saw it sitting on a table in Barnes & Noble and quickly purchased it. It goes into great detail and provides fascinating background information based on Miyuki’s interpretation of Ico. It might not be canon, but I still highly recommend it to fans. After playing both games, a whole new chapter unlocked – the relationship between the two. First, I thought about it, but that soon yielded to Internet research. The Queen’s Sword is an unlock in Shadow of the Colossus; does this imply the Shadow of the Colossus takes place later, or is it a fun nod? How about some of the Queen’s architecture found in Shadow of the Colossus? I think it’s likely reuse of art assets, but some people saw it differently. Of course, there’s the rather obvious fact that the baby at the end of Shadow of the Colossus has horns just like Ico. Fumito Ueda, director of both games, sees Shadow of the Colossus as a prequel but leaves it open for players to decide for themselves. 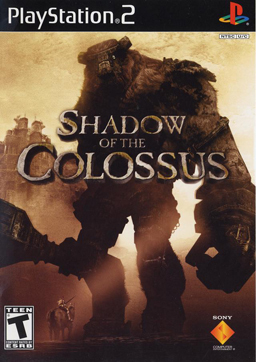 People all over did the world did more than look for relationships between the two games: they also searched for hidden secrets, with the biggest being the idea of a 17th colossus. The title never told players to eat the fruit or lizard tails. There’s no reason for Wander to be able to grab birds and go for a flight. Nothing tells players to climb the temple. There are large amounts of unused landscape. It certainly seemed to many that there was room for and reason to believe in more hidden in that Forbidden Land. It’s now been over nine years since the release of Shadow of the Colossus, and most fans agree that everything to be found has been found. There is no 17th colossus. But there is plenty to see in the game, and exploring for the sake of exploring can still be satisfying. In fact, exploring outside the game can be satisfying as well. Maybe there are only 16th colossi in the game, but there were still scrapped colossi. If they can’t be found in the game, they can be found in sketches and notes. Craig Owens published a great piece on Shadow of the Colossus and fans’ search for its secrets called The quest for Shadow of the Colossus’ last big secret for Eurogamer on February 5, 2013. It was a great read when it was first published, and I’ve enjoyed rereading it multiple times as well. Team Ico revealed a follow-up, The Last Guardian at E3 2009. It was one of the reasons I purchased a PS3. Many of the development team have left, but as of just a couple months ago, Ueda says it’s in development. Hopefully the PS4 sees it eventually. Both images taken from their respective games’ Wikipedia articles. Ico’s was uploaded by Wikipedia user Jayteecork and Shadow of the Colossus’ by Wikipedia user The Prince of Darkness. There were a few tidbits that interested me today. Yoshida of Sony remarked that The Last Guardian isn’t canceled. He also said that when they do cancel a title that’s already been announced, they’ll tell their fans. It’s nice to see that reiterated, but I’m still annoyed that when I bought my PS3, I did so under the impression that I’d get to play The Last Guardian on it. – If we ever cancel The Last Guardian, we’ll tell you, Sony’s Yoshida promises, Brian Crecente, Polygon, 6/11/14. There will be a nephalem rift in Diablo 3 Ultimate Evil Edition with references to The Last of Us. This is sort of interesting although I haven’t played The Last of Us and prefer D3 on PC. What’s slightly more interesting is that there will be armor based on Shadow of the Colossus. After reading the first part of an article about the inclusion of The Last of Us, I was really hoping for more than just armor. Could you imagine fighting a Colossus in Diablo? Oh well. – The Last of Us and Shadow of the Colossus guest star in Diablo 3 on PS3 and PS4, Owen S. Good, Polygon, 6/11/14. Another reminder of a game I own and still need to play – LittleBigPlanet 2 in this case. LBP 3 still includes Sackboy but has three new characters as well: Oddsock is a dog-like character that moves faster. He’s adorable, and I’m excited. Toggle is a large, heavier sack-person that can move heavy objects and use his weight to solve puzzles. Lastly, Swoop is a flying bird. I’ll admit it; I’m interested. – LittleBigPlanet 3 has some new friends for you to meet, Colin Campbell, Polygon, 6/11/14. Here’s a game that I skipped yesterday until my friend talked to me about it today. It was announced as a Wii U exclusive. The trailer shows the main character as some sort of ninja, sniper, assassin cool guy with an attitude that also plays the drums, cusses a lot, and drinks. Honestly, it seemed over the top, and not in the good way like MadWorld or No More Heroes. It just seemed like Nintendo wanted to show that they can have mature exclusives, when that should be obvious by the titles I just mentioned. This just looked silly. – Devil’s Third Trailer (Wii U), GamesHQMedia, YouTube, 6/10/14. Lastly, I watched a new Destiny gameplay video. I’m fairly certain others had already been released, but I didn’t know much about the game. A friend of mine has compared it to WoW a number of times. He’s never played WoW, and that’s incredibly clear after watching the video. It might still be a fun game, but it’s not really in the same market at all. – Destiny gameplay video and interview, E3 2014, Polygon Staff, Polygon, 6/11/14. As I mentioned previously, I’m not reading every bit of E3 news, but some stuff sticks out. Here’s what I read yesterday that’s interesting to me. PS4 hard drive is user-replaceable, Samit Sarkar, Polygon, 6/11/13. The Last Guardian is ‘on hiatus’, Jessica Conditt, Joystiq, 6/11/13. Absolutely terrible, yet not surprising, news. The Last Guardian was, sadly, a factor in my purchase of the PS3. Donkey Kong Country: Tropical Freeze hits Wii U in November, Sinan Kubba, Joystiq, 6/11/13. Lots of Nintendo games seemed cool to me. A new DKC is always welcome news, although I didn’t even play Donkey Kong Country Returns (besides at E3). New ‘Yoshi’s Island’ game called ‘Yoshi’s New Island’, Alexander Silwinski, Joystiq, 6/11/13. It’s been a while since we’ve seen Yoshi’s Island, so I’ll be happy to try Yoshi’s New Island. Super Smash Bros. coming to 3DS, Wii U in 2014; Mega Man joins fray, Alexander Silwinski, Joystiq, 6/11/13. I’ve never been big into Smash multiplayer, but surprisingly, I love the single player. I hope it has a cool adventure mode. Legend of Zelda: Wind Waker HD hits Wii U in October, Sinan Kubba, Joystiq, 6/11/13. When Wind Waker was released, I thought it looked dumb. My tastes in graphics have changed completely, and for a while now I’ve been really interested in going back to Wind Waker. I guess I’ll be trying to HD remake! Mario Kart 8 races to Wii U Spring 2014, David Hinkle, Joystiq, 6/11/13. Mario Kart 8 looks awesome and includes anti-gravity segments. Hopefully Nintendo steps up their game in response to Sonic & All-Stars Racing. Transformed was absolutely awesome. Super Mario 3D World pounces on Wii U Dec. 2013, Bob Mackey, Joystiq, 6/11/13. Super Mario 3D Land was the greatest 3D Mario game I’ve played in a very long time. It ranked with 64 in my mind, although I’d be hard to pressed to crown one the best over the other. We’ll see how this new one is! Nintendo has a tendency of releasing a lot of great games in their core franchises early and then tapering off. I don’t know if that’s going to happen with the Wii U, but I don’t care. They’ve announced enough already to make the Wii U more than worth the cost.